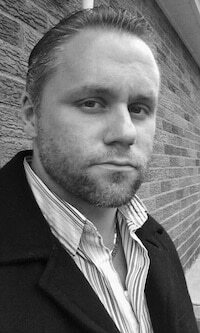 Jeff Fanala was born of Italian/Polish descent and raised in North Versailles, PA amongst a loving and respected home. His mother and father were great parents and hard workers to provide everything they could—all in means of not spoiling their two sons, but providing the guidance in allowing them to appreciate everything they had. Growing up, Jeff was immersed in the culture and traditions in the heritage of being Italian. Today, he continues to celebrate and carry-on the legacy he was born into and lived out for so many years. Jeff has held office positions in a previous career, however, today he works in the laboring field, in particular with the Diocese of Pittsburgh. He currently lives in West Mifflin and anticipates to move at some point in the near future, preferably out towards the Irwin/North Huntingdon area. Ciao Pittsburgh took some time recently to interview Jeff via email to learn more about his Italian heritage and living in Pittsburgh. 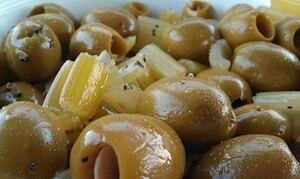 Jeff also makes a delicious Genovese salad using olives specially ordered from DeLallos. He shares the origins of that story below as well. CP: I understand that you get your Genovese olives specially made from DeLallos. How did this come about about? How long have you been buying from DeLallos, and why do you get them special ordered? Jeff: The story behind the Genovese salad is a storied one, however ultimately it’s just a matter of great taste. My father used to purchase a special Sicilian olive mix made at Folino Bros. in North Versailles, a small Italian grocer that unfortunately is no longer open. The fondest memory I have is the plastic deli container sitting atop the kitchen table next to where my father would always sit. The olives would rest in a red wine vinegar marinade with spices, garlic and cubed-up celery with an aroma that may have been somewhat pungent to some, but was a draw for me. I really enjoyed them. As time went on and Folino’s eventually shut their doors, it was as if a small, but significant chapter of cherished memories came to a close in our lives. Over all things— green olives. But understanding how tradition is so important in a hard Italian home, this was something, though small, we enjoyed and bonded over, and we had lost. It wouldn’t be until many years later, as a fully-grown adult, living with my fiancé elsewhere that I came across this olive mix again. In a special visit to Jeannette’s DeLallo Italian Marketplace Retail Store, I stumbled across an antipasto bar to die for, and that special olive mix was there—the very one my father and I so enjoyed, sitting in-wait, almost as if just for me and my family alone. As ironic as it may seem, that statement could be no further from the truth, as shortly after discovering the holy mix there, within a year or two it was removed from their antipasto bar, unavailable for sale. Long story short, after further discussion between myself and a store manager, an agreement came about that couldn’t be anymore accommodating if I had dreamt it up. Today, we have the special recipe made in large, 7-8 lb. batches for every holiday season and whenever needed to share with family and close friends. In about 10 years of shopping at DeLallo’s, we have always been satisfied with the service we receive there and highly recommend the joint to anyone who resides east of the city and/or can’t reach Penn Mac or alike grocer in the Strip before they close for the day. Jeff: I have lived in Pittsburgh all my life and have no intent to leave. The city is home to me and my family, and many genuine people I’ve met in my life so far. The city and surrounding areas are so enriched with a vibrant culture, heritage and history, it’d be a sin to think of this wonderful place as just another location on a map. Jeff: My father’s parents were from northern Italy. While my grandfather has been deceased for a few years now, my grandmother at the time of this writing is doing well. On occasion, she reminisces about the old country and returning for a visit to where it all had begun for her. Doubtful a trip would actually take place for her, but at the least we have gathered current day photos of her town and even took her down a few streets via Google Maps Street View. Gotta love technology! Jeff: A lot of good eating! Otherwise on a lighter note, pasta on Sunday. Especially after Sunday morning mass while everyone else is eating their eggs, bacon and toast. Half the time, our Sunday mornings consisted of and, still today, a visit to grandma and pap Fanala’s and a wonderful spaghetti breakfast with bread and butter and salad. My grandmother’s spaghetti sauce is a family gem, like nothing on the market today! Another favorite tradition is the specially prepared seafood dishes prepared at Christmas—baccala in tomato sauce and heavy garlic being my favorite, as well as dandelions in oil and vinegar with a generous dusting of salt. I also enjoy decorating for the holidays. We deck the halls and put the Hallo’ in Ween. Finally, I love Sinatra, standards, and jazz. As a musician myself today, I grew up listening to Frank and every other crooner within my father’s game room studio. With a set of studio headphones on and an 8-track of Frank in the home stereo, there were a many nights I laid on the cold hard game room floor as Frank serenaded me into the deepest of sleep. Jeff: I have not visited Italy. As it would be quite the experience, maybe one day, but no immediate plans at the present time. Jeff: The essence of respect amongst family and friends is what being Italian means to me. I explain and enforce this with my own daughter and wife. Not of some cliché, gimmick, nor script to some Hollywood-film, but something genuine and unspoken of. Something simply earned in treating others with the genuine respect they deserve and you too will receive in return. I have no enemies. Never had or gave reason for anyone to hate me, as personally, I am a very humble, unselfish individual who fears God in being a devout Roman Catholic, attending mass weekly as my parents instilled in me as something important. I share my love for life, (and pasta), with all. Jeff: Johnny’s in Wilmerding, PA, where everything is made-to-order, tops the list! Luciano’s in White Oak is another superb location that has a Chicago Style, not a deep dish, but a pizza that is to die for. The sauce is replaced with diced, juicy marinated tomatoes. The pizza is a hidden gem of Pittsburgh. The pie could actually quench your thirst from the juice in the tomatoes. When it comes to the franchises, I am a fan of Buca Di Beppo’s. The name of the restaurant roughly translates into “Joe’s basement” and I love the atmosphere and decor of the joint as such. It’s like a sensory overload of everything Italiano! A lot of great tastes there! Jeff: Foremost, my recreational love to remain physically fit (even despite all the good eating), my music and being an accomplished graphic/commercial artist. I’m looking forward even more-so to a productive 2013 so that by year’s end, I may be an established musician within the indie music scene around the world after we license and publish my work to purchase. Jeff: I love bodybuilding; graphic/commercial art; and playing the piano. I also enjoy great music, especially that of an era that has come-and-gone, such as Sinatra, Martin, Sammy Davis Jr, Ella, Louis Prima, Tony Bennett, Diana Krall… the list goes on and on. Jeff: Last movie I saw was “Ganster Squad.” Highly recommend and loved it! Jeff: I don’t watch much TV, but if I do, I’m usually watching Food Network or the Travel Channel. In relation to many of the featured programs on those channels, and as somewhat of an amateur food connoisseur, we, as a family dine out a bit, checking out local joints and enjoy looking for the best of the best. Jeff: Rather than anything more about me, I ask those reading this to support the efforts of the staff involved with this site. This is a labor of love and I share the interest, intrigue and passion for what this website has to offer and deliver to our Italian community. Share this site with family, friends, and let it be the breeding-ground and resource to ignite the passion for everything Italiano in your life. Editor’s Note: Jeff wrote a wonderful piece for us on what it means to be Italian which we will share with you in the upcoming weeks!.